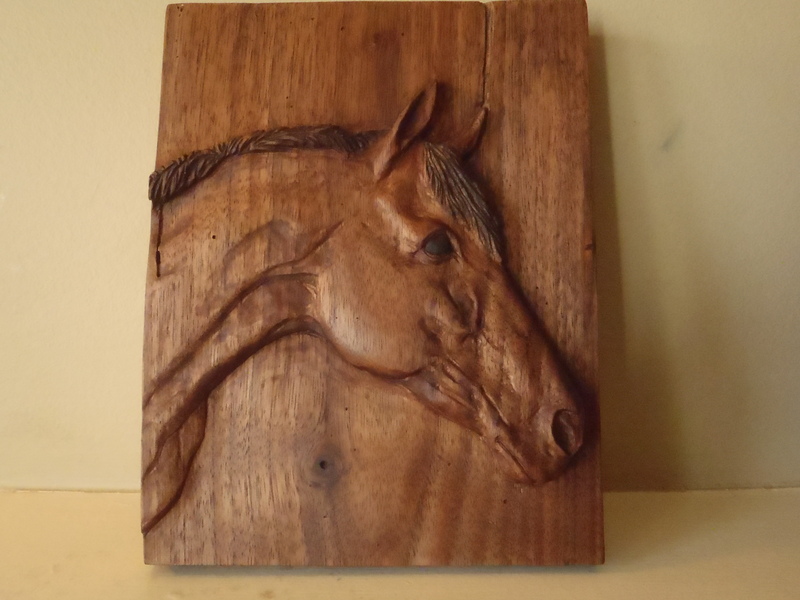 Hand carved portraits of your beloved horse are a unique and artistic way to celebrate the special animals in your life. I start with a digital image or a photo that I scan into the computer. I can then crop it or adjust the tones to get the best detail. I use this image to draw the outline onto wood and then carve the image by hand, matching the photo as closely as possible. 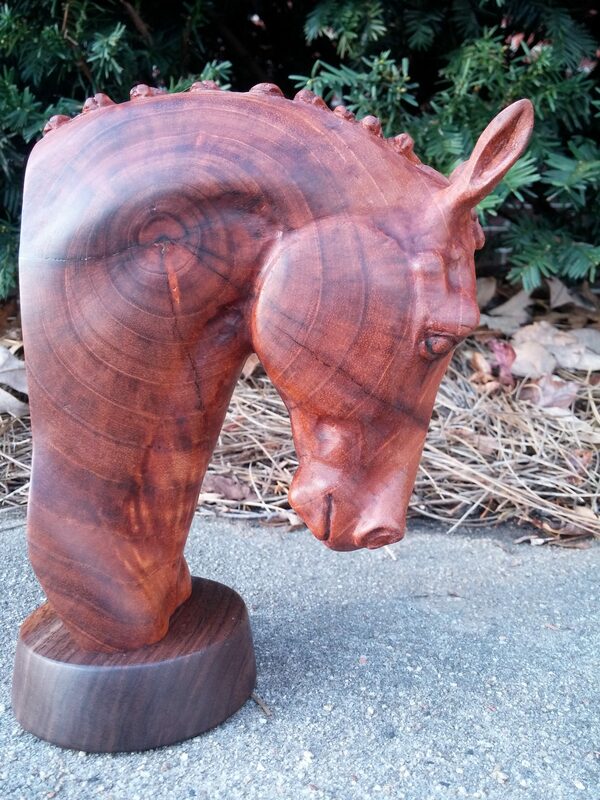 I can sometimes add color stain to the carving to finish it. 3-D life-like carvings are also possible, and require you to take a few minor measurements. These would take a bit more time and cost a bit more. Fill out the form on the How to Order page to get started and I’ll get your images after that. Remember that your carving will look exactly like the photo you provide. 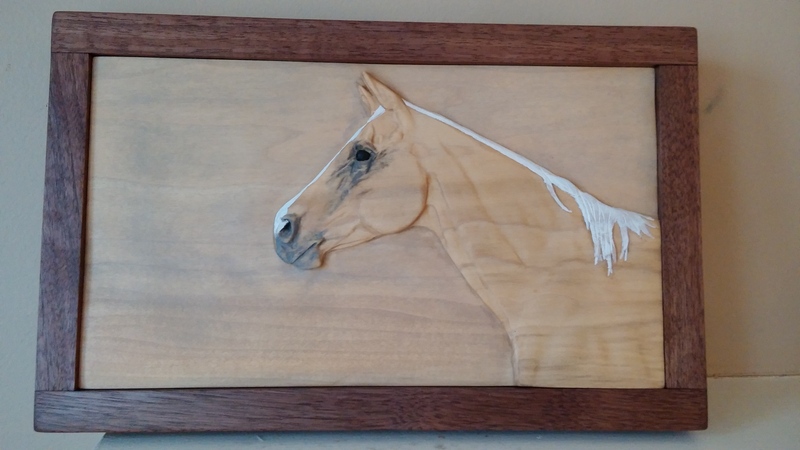 I require a good quality photo to create your custom carving. Sometimes I can photograph the animal myself if you are nearby. Photos must be well lit from behind the camera, and the head or image you want carved should take up the entire frame. I need to be able to see all the unique details of the animal. 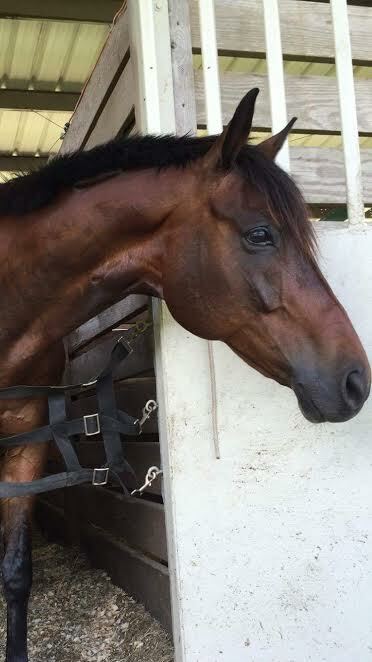 Side profile or a slight angle work well. If you don’t have great pictures of a deceased pet, I can use whatever photos you have to get an approximate replica. Each carving is different, and I charge per hour. The best size is around 5×7 or 8×10. A rough cost guide would be between $250 and $300 for a basic carving. 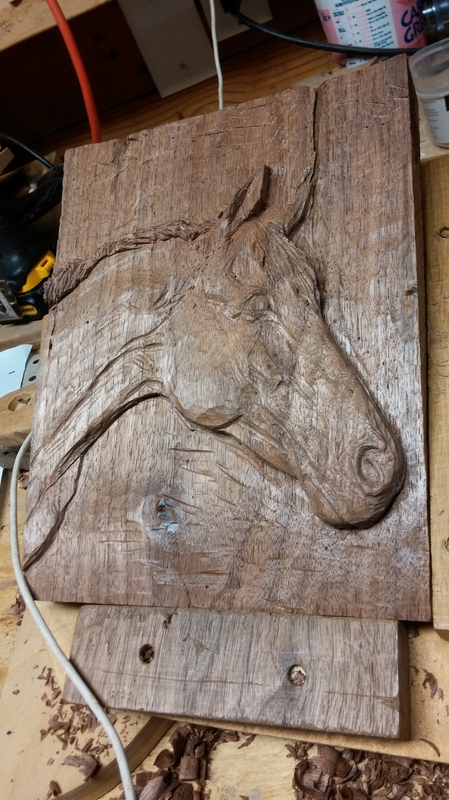 Additional features that might increase the cost would be carved details in the background, carved tack, or framing. I ask for a deposit of $100 to get started. 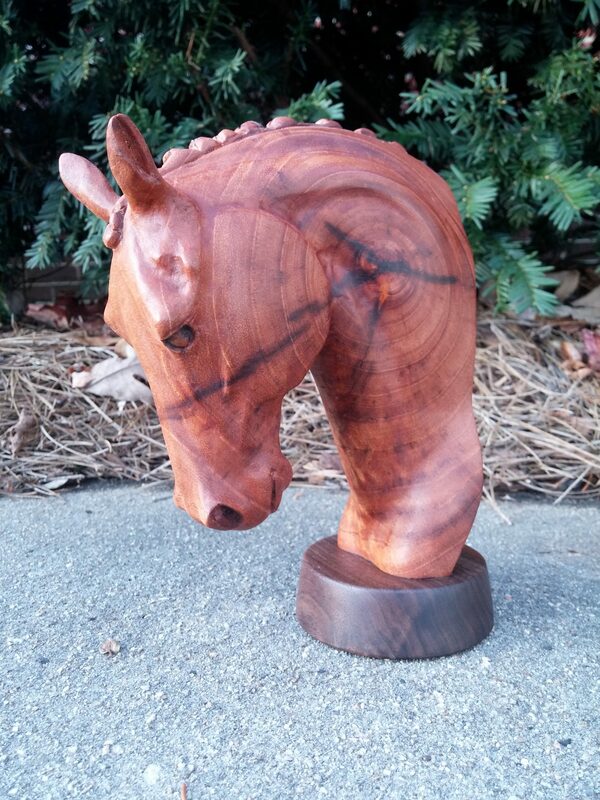 The carving will be approved by you, and I can make a few minor adjustments with no additional costs. Final approval and payment are required before shipment.